Welcome Dear Ones to a place where you can explore your own divinity; a place to find a balance within yourself which may reflect in what you attract from the exterior world! Happy equinox and full moon & eclipse, to all of you! Here we are, we can feel the new energy moving in our bodies. We are still releasing old pains trapped in our bodies of energy. The freedom process has started. 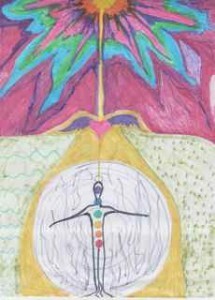 The sun Libra, ruled by Venus, the inner Goddess, is shining now, activating our cells to ascend, to shift dimensions and different paradigms, and granting us the possibility to start all over again, using this new paradigm, to live consciously, in a slower rhythm, in a gentler way …with you, with others and Gaia-Mother Earth. Repairing what we have done. Aries where the moon is , activates the Inner Warrior, autonomy, also the animal of power, and the need to work with this inner presences to balance our relationships. How is your inner marriage?How is the relationship between your mind and your body? And between your humanity and your divinity? Time discover another way to work with ourselves and to live here on this New Earth. You can also choose your thoughts, your thoughts control the energy flow within and around you. Whatever you think about determines how you feel and what you experience. Your chakras will express this. Relationships are on the screen right now, Forgive the past, forgive yourself and forgive humanity, allow Forgiveness to inhabit your inner space, start all over again, it is possible!!! !You will be free! Ask for the presence of your Higher Self, the Holy Spirit, Love, your Soul, your Divinity. Take a deep cleansing breath and affirm: “I am harmoniously aligned with the ceaseless flow of supply and love that springs from the golden fountain of light within my center. I love and accept myself just as i am. Your mental, emotional, and physical distress is the result of energy blockages. These meditations, exercises and work, promote smooth, free flowing internal energy, good health and joy. You will learn your own intuitive language through the observation and receptivity of your chakra centers. You’ll experience yourself as a multi-layered energetic being, growing in the fifth dimension. As you cleanse and unblock your energy centers, you will experience powerful shifts in thinking and you will feel increasingly empowered to fulfil your Divine Purpose. Previous post: Super full moon Virgo-Pisces, go inside allow the healing process! Next post: Full moon Taurus Scorpio total regeneration available!